Academy Award Winning Director for One Flew Over The Cuckoo's Nest. Oh please let it rain today. This city's so filthy. Like my mind in ways. Ernie D was early 70's w/ Marvin Barnes. Billy D was Pitino's PG in '87 along with SG Delray Brooks who transferred from Indiana. 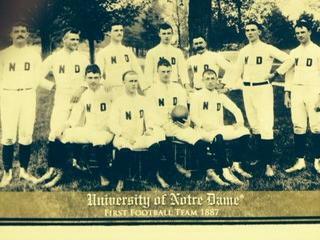 He would've transferred to ND but they weren't in the business of transfers in those days. Had he chosen ND out of HS which I thought he was going to do, he and David Rivers would have been a helluva backcourt. You're right, It was Pitino and Delray Brooks. Will never forget how the Hoosiers totally frustrated the Runnin' Rebs, and went on to win it all on the following Monday night. his character in FMG was amazing. Incredible movie. Not his only great work though. Yep, they were expecting the traditional Knight motion offense. Instead of trying to slow them down, the Hoosiers ran with the Rebels who couldn't get back on D fast enough. May have been Knights greatest game plan ever. Delray Brooks was Mr. Basketball and NPOY. Played at IU before transferring to Providence.